Hello, I hope you had a Happy Easter! and Thank You for continuing to support this guide. The Free Bullion Investment Guide supports the Foundation the Kanzius Cancer Research Foundation through commissions that it earns from your purchases from our Affiliates and by continuing to support our Sponsor the Bullion Supermarket. It is the pledge of the Guide to give at least 50% of gross revenue received through these commissions, to the Kanzius Foundation. In addition, you may also give a Donation to the Guide, at least 50% of your donation will go to the Foundation. The other 50% or less will go to help keep this website updated and running. Furthermore, in February, I received a email from a well-known Canadian Investor named Peter Breiger of GlobeInvest Capital Management. Peter had been offered several bars of Engelhard Silver Bullion and he asked for my help in authenticating the silver bullion, before he decided to make the investment. With the information he supplied to me about the bars and after several hours of research, I returned to him my Report and the Verdict. "Yes" the Engelhard Silver Bullion that he was offered was Authentic. He kindly paid me for the work I did for him, and that payment was added to the Guide's gross income, below. As of March 31st, with the help of Peter Breiger, the continued support of the Bullion Supermarket, and through your help by choosing to do business with one of our Affiliates, the Guide's gross income for March 2013, was $530.41. Note: If you know someone who you think this site could help, please forward our link to them, Thank You. GlobeInvest Capital Management - Disclaimer - the investment firm is not licensed in the United States and Cannot do business in the United States in anyway shape or form. GlobeInvest Capital Management is available for Canadian residents, including BC, Alberta, Saskatchewan, Manitoba, Ontario and Nova Scotia. I would first like to apologize, I did not update the Gold or Silver Supply and Demand pages, as I stated in the last update. Unfortunately, both of my parents were in the hospital earlier in March and later in the month, another close family member (my uncle) was also in the hospital. This caused me to put these pages on hold, until this month. Thankfully, they are all home and doing much better now. Furthermore, as to the Gold Supply and Demand page for 2012, it will be updated within the next week or two. But, the Silver Supply and Demand page for 2012, will not be completed until more information is published, which so far it has not. I was able to update the 5 oz. America the Beautiful Bullion Coin page with larger photos, for each years coin's reverse side. I also updated the US Bullion page, the UK Bullion page and the Russian Bullion page. On these pages, I added photos of the individual bullion coins, to help the visitor better identify the coins. I will be adding the information I gathered for Peter Breiger (mentioned in ledger total above), on the Engelhard page. I first need to contact a few of the publishers of the information to get their permission to post it on the Engelhard page. 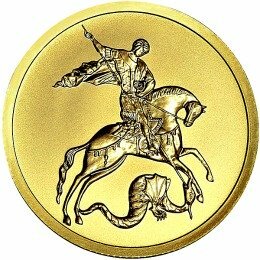 I am currently in the process of updated the individual Gov't Bullion coin pages, like the US, UK and Russian bullion pages, mentioned previously. After I get done that work, I will be updating all the Refiner pages with more information and I will be adding Refiners too. There are many more pages to come, I Thank You for your continued support and I hope you will continue to visit the guide. Until next time....I wish you Happiness and Good Health. Hello, and Thank You for your continued support of the Guide. The Free Bullion Investment Guide supports the the Kanzius Cancer Research Foundation through commissions that we earn through your purchases from our Affiliates and fees collected by our current Sponsor. Note: Once the Guide reaches it's monthly/yearly budget it will give more than 50% to the Kazius Foundation. Unfortunately, we are not very close to reaching that goal, yet. 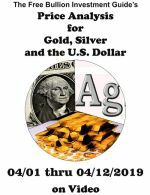 As of Apriil 30th, with the continued support of the Bullion Supermarket and through your help by choosing to do business with one of our Affiliates, the Guide's gross income for April 2013, was $332.90. Note: The Guide had one sale from the Perth Mint that has not been processed by the Mint, yet. Once the sale has been finalized by the Perth Mint the sale will be added to that month's ledger total and payment to the Foundation. The sale was made in the middle of April, we have been notified by the Perth Mint that finalization of sales can take up to 60days. Note: If you know someone who you think would like this website, please forward our link to them, Thank You. The Gold - Supply and Demand (Gold S&D;) page was finished shortly after posting the last update. This month I intend to redo the Silver - Supply and Demand (Silver S&D;) page to reflect 2012's numbers for the precious metal. Recently, the Austrian Bullion & Mexican Bullion pages were updated and this month I hope to update the rest of the Gov't Modern Bullion Coin pages. The ones that still need to be updated are the Canadian Bullion page, Australian, South African Bullion page and the Chinese Bullion page. Once those pages have been updated, I intend to focus my attention to updating the Refiner's pages and adding information to those pages. I hope to start getting those pages updated this month. However, right now it seems that the updates to those pages will not begin until next month. Furthermore, I also intend to add more Refiners too. Mintage Figures have been updated on many of the Gov't Bullion Coin pages. 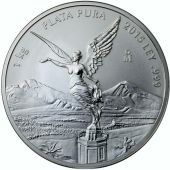 The 2013 Gold Mexican Libertad mintage figures have been updated, however the Silver Libertad mintage figures for 2013 will not be available til shortly after the new year (2014). In addition, the Royal Canadian Mint recently came out with their Final Report for 2012 and all of the mintage figures for the Gold, Silver and Platinum Maple Leaf bullion coins have been updated. Unfortunately, the Canadian Mint did not mint any Palladium Maple Leaf Bullion coins for 2012. Also, just this evening, I updated the US Bullion mintage figures for the 1oz American Gold Eagle, 1oz. American Gold Buffalo and the 1oz. American Silver Eagle bullion coins. As of this date their has not been any updates for the 5oz. America the Beautiful bullion coins or the fractional gold American Eagle Bullion coins. I am also aware that their are many other pages that need to be updated throughout the Guide. I also intend to add more pages to the guide. I will be updating and adding these pages in the days, weeks and months to come. I will keep a list of the pages that I update and add each month, and I will report those to you here, in the months to come. Until next time....I wish you and your family Happiness and Good Health. Hello, I hope you had a Wonderful Memorial Day. I would like to start off by Thanking You for every visit you make to the Guide. The Free Bullion Investment Guide supports the the Kanzius Cancer Research Foundation through commissions that we earn through your purchases from our Affiliates & Advertisement fees collected from our Sponsors. This month the Guide has had some changes in Sponsorship. The Bullion Supermarket which had been a Sponsor of the Guide for more than a year, informed me that they would like to take a break from advertising, due to possible new ownership of the site. I wrote the current owner (J. Hunt) back and told him I was sorry to hear that they were not going to Sponsor the Guide, however I wished him luck. We agreed to stay in touch and he assured me that he would keep me up-to-date with any new developments. As of May 31st, through your help by choosing to do business with one of our Affiliates, the Guide's gross income for May 2013, was $42.29*. *We had one sell from the Perth Mint from April that was not processed until late last month (May). The guide receives a generous commission of 10% from the Mint. The total commission amount of that April sale was $499.55. Although the Perth Mint processed the order, the funds have not been released to the Guide, yet. I expect it to be released to the Guide later this month (June). So next month's Ledger entry (July) you will see at least 50% of this total added to the Ledger. Furthermore, on May 31st, we had a sale through Gunsafes.com, however I am currently unaware of the total commission. Gunsafes.com has a 60day grace period for releasing funds. I hope to have more information about this sale on next month's (July) Ledger entry. I report this information to you for full disclosure. I have personally promised the Kanzius Cancer Research Foundation that they would receive at least a $100.00 donation, if the guide did not generate the funds itself through our advertisers and affiliates. Note: If you know someone who you think would like this website, please forward our link to them. I would like to Thank BrotherJohnf and the Deviant Investor for adding the Guide's Homepage link to their sites. This month's Updates may be a little long, but there has been a lot of Updates to the site since the last entry. The Silver Supply and Demand (Silver S & D) page was updated shortly after the last entry, as promised. The Dow to Gold ratio page also was updated with new charts provided to the guide courtesy of ValcambiGold. In addition, information on that page was also updated. The South African Bullion, Chinese Bullion and Canadian Bullion pages have all been updated since the last entry. The last Bullion Coin page that needs to be updated is the Australian Bullion page. I hope to get to the Australian Bullion page updated this month, but for the past few months I have stated that I want to update all of the Refiners pages. I am currently working and putting the information together for the updated Engelhard page. I hope to have the new information posted shortly after this weekend (6/8-6/9), the following weekend at the latest. Once I get all of the Refiner pages updated and a few more added, I intend to update the Investment Guru pages. Currently on these pages, on the right column are news related posts from each Guru. It's not set in stone, but I plan to put that news below the video's of the gurus posted on each page. I will keep you updated when this happens. Another update that was done to the Guide, was on its Affiliates page. Since the Guide started signing affiliates in March of 2012, I wanted to post the percentages that we receive or give, for the sake of disclosure. However, some of the by-laws in our affiliate agreements, state that we Cannot publish the total percentage received. (Not all state this, only a few) So that is why I published the amount or percentage of the commissions that the Guide donates to the Kanzius Foundation. I also wanted to make you aware that for the past week and in the future I have been posting one, two or three updates of the Bullion Market News & Commentary on the Homepage. It changes day-to-day, but I update the RSS feed every time the homepage or any other page has been updated. So if you subscribe to our RSS feed and if you see the Homepage listed more than once in the same day, most often it is because the News was updated more than once that day. However, only expect one update on the weekends and if there is no updated news on the Homepage, it is either because of a holiday, family related or quite literally, it was a lite news day. I read, listen and watch all the news posted daily, I like to find at least five or more links to post daily. Finally, as to the news on the Homepage, I have made some errors on some links, I have in the past posted the wrong link. I apologize for this, I will be more diligent in the future to keep this from happening. Until next time....I wish you and your family, Good Health & Happiness. Hello, I would like to first Thank You for your support and every visit you make to the Guide. I also hope you and your family had a Happy 4th of July. It is the pledge of the Guide to give at least 50% of gross revenue received through these commissions & donations, to the Kanzius Cancer Research Foundation. As of June 30th, through your help by choosing to do business with one of our Affiliates, the Guide's gross income for June 2013, was $842.96. **This month I was able to finally post a commission we received from a bullion sale through the Perth Mint in April. The total amount of that commission was $499.55. Note: If you know someone who you think would like this website, please forward our link to them. I would like to Thank GoldSilverWorlds & ShareWorld.com for adding the Guide's Homepage link to their sites. In June I was able to add the Information and more Updates to the Engelhard page that I've been promising. There is some more information I intend to add to the page in the future. Currently, I am researching other Refiners and plan to Update and add to the "Refiners" pages in the near future. I also Updated and added-to the Bullion Glossary page, I added some new photos, definitions, and links to the page. I would like to send out a special Thank You to Taki Tsaklanos, he is the owner of GoldSilverWorlds.com. Early in June, I asked him to add the Guide to his partner's list. He kindly accepted. In addition, he also offered a free Banner ad of the Guide to be placed on his homepage for a limited time. Some of you may have seen it. I offered him the same deal and placed a banner from him on my homepage. The banner Taki placed on GoldSilverWorlds.com for the guide is below. 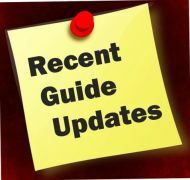 This month the Guide has also added several new Affiliates, Goldbrokers.com, TheTechnicalTraders and SilverDoctors.com. I intend to add Quarters One & Two of 2013 to the Recent Bullion News & Commentary Headlines page in July. I've been having some troubles getting these pages done, because I've been having some issues with my main Graphics Software, which I hope to have corrected soon. I wish you and your family, Good Health & Happiness. I hope everyone who is reading this has been having a Wonderful Summer. I would like to Thank You for your continued support. The Free Bullion Investment Guide supports the the Kanzius Cancer Research Foundation through commissions that it earns through your purchases from our Affiliates & Advertisement fees collected from our Sponsors. In addition, you may also give a Donation to the Guide, at least 50% of your donation will go to the Foundation. The other 50% or less will go to help keep this website updated and running. A PayPal donation button is located at the top right of almost every page. As of July 31st, through your help by choosing to do business with one of our Affiliates, the Guide's gross income for July 2013, was $4.35. Note: If you know someone who you think would like this website, please forward our link to them. I would like to Thank those of you who have mentioned the Guide as a reference tool in several bullion and coin forums. These forums include: Silverstackers, CoinTalk, and Kitco . To be completely honest with you, I got very little done in the month of July. And when I wrote my last Ledger Entry, I wasn't taking the injury as seriously as I should have, and by doing so I made it worse. So my time behind the computer was limited to pretty much just updating the Daily Bullion News, on the Homepage. 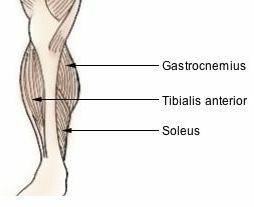 My leg is doing much better now, it's still a little swollen, but the throbbing pain is gone and so is my limp. This past week I've been working on getting the "PAMP Suisse" page updated. And this morning I posted the new updated page. Furthermore, I have been and will continue to update the US Mint's bullion numbers on the 10th, 20th and at the end of every month. I would do this for other World Mint's, but the US Mint is the only one that regularly updates it's bullion coin sales numbers. We also welcome our latest Affiliate Armor Concepts. Due to the injury, I have gotten way behind in my work for the Guide, so I will be working double hard to update and add more pages to the Guide in the months to come. I hope everyone who reads this, had a Great Summer. I would like to start this entry, like all the others, by first Thanking You for you for visiting the Guide and for your support. To start on a different note on this entry, I wanted to bring to your attention some recent Cancer Research breakthroughs that have happened by using Gold-Nanoparticle Technology. These articles aren't directly related to The Kanzius Foundation's Research, but it does back-up the research they are doing. Over the summer, I found out one of my Favorite People in the World has cancer, one of my first cousins. When she told me about her treatments and the pain she has been enduring, from them, I was thinking in the back of my head, we have to find a better way to treat this disease. I understand chemotherapy, that it poisons the tumor to kill it, but the medicine should help, not hurt the host as well. The research that is being done with Gold-Nanoparticles doesn't hurt the host, who could be you, me or my cousin, in any way. I believe in this research. 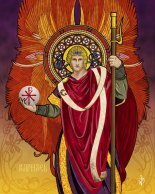 I believe that it will become mainstream and these articles back up the Research that the Kanzius Foundation is doing. And in the future, when someone finds out they have cancer, they won't get scared anymore because they will know, it will be easy to get over. This Guide supports the the Kanzius Cancer Research Foundation through commissions that it earns through your purchases from our Affiliates & Advertisement fees collected from our Sponsors. You may also give a Donation to the Guide and when you do, 50% of your donation will go to the Foundation. The rest will go to help keep this website updated and running. A PayPal donation button is located at the top right of almost every page. As of August 31st, through your help by choosing to do business with one of our Affiliates, the Guide's gross income for August 2013, was $20.00. Note: 09/11/13 - Yesterday, I received a check in the mail from SilverDoctors.com. I was just informed that we had one bullion sale from them over the last month. I had previously shown that the Guide did not have any sales from our affiliates, that is why I am putting up this notice. These are the first sale that the guide has generated from SilverDoctors.com. I will be getting in contact with them about contacting me sooner, about the sales we generate, for reporting purposes. This month I will be reviewing how this site makes money, it hasn't been going as well as I had hoped and I think I need to change some things. Furthermore, I do have one request and that is if you have purchased something by clicking thru from this site to one of our Affiliates and you don't think the Guide has either recieved the commission or you may not think I have reported it. Please "Contact Me" by clicking this link. I would like to give a special Thank You to Matthew Spano who added the Guide to his site Your Portal To all Things Awesome, you can find the Guide there if you choose the following headings, in this order: Financial >>> Currency & Commodities >>> Coins & Bullion. Over the past month I added a new heading and list of forums on the Bullion Forums page, the heading is Gold Prospecting Forums. The guide's been mentioned in a few of these forums and I thought that adding these forums to the Guide, was a "no brainer." I've been updating other pages but, on a smaller scale, if you visit the guide often, you'll see slight additions or improvements to the site. One thing that has been happening to me lately is, I will go to update a page, re-read what I had already written and find a word missing that makes the sentence sound completely wrong or it doesn't make sense. I cringe when I see this, I have a Homer Simpson moment, "D'OH." So, I wanted to ask any one who is reading this and has read anything like this on one of the Guide's pages, Please bring this to my attention. I am in no way perfect or a perfect writer, my dyslexia and poor eyesight sometimes gets the better of me. So, if you do find any of these incidents, Please Contact Me by clicking here or you can use the Contact Page and send me an email. I receive all email, I am the only one who runs this site. You can also email me directly at me@free-bullion-investment-guide.com. Over this past month I honestly haven't done many major updates, I will be updating some more refiner's pages in the near future, as well as some investing guru pages. 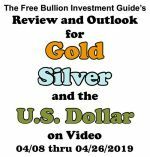 Two New pages that I have recently added are Quarterly Bullion News Pages with Quarterly and Yearly Charts for each precious metal. The two new pages are 1st Qtr of 2013 & 2nd Qtr of 2013. I have been updating mintages on the individual pages on the US Bullion page. I want to change the precious metals charts, you find on the right column of almost every page. The constantly changing ones, that show different time periods, may have been a wrong choice of mine to use. So look for that change in the future. I will sometime in the next several months start a facebook page, and once I get all the pages updated including the HomePage, I plan to start a blog. I will keep you informed here when all these things happen. Thanking You for visiting the Guide and for every visit you make, it is greatly appreciated. As you may or may not know, the month of October is Breast Cancer Awareness Month. At the top right of the Homepage I have put up an awareness advertisement for pink ribbon pins. 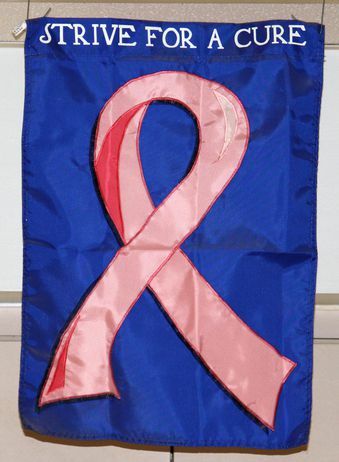 I will be changing that advertisement every week of this month to a different pink ribbon product. I have stated on past ledger entries how Cancer has effected me and my family by seeing other family members and friends fight the disease. Breast Cancer is no-exception, my grandmother (my mother's mother) had a Mastectomy in 1956. She had stage III Breast Cancer, it had spread to the lymph nodes under her arm pit. Thankfully the doctors were able to remove the bad lymph-nodes when they did the mastectomy, and my grandmother lived for many more decades, cancer free. Even-though it happened in 1956, seventeen years before I was born, I have been told many unpleasant stories about the ordeal from my mother, who was only fifteen at the time. Cancer Research that is being done to fight and hopefully cure this disease needs to receive more awareness. Please help in anyway you can to get the word out. The Guide supports the the Kanzius Cancer Research Foundation through commissions that it earns through your purchases from our Affiliates & Advertisement fees collected from our Sponsors. You may also give a Donation to the Guide and when you do, 50% of your donation will go to the Kanzius Foundation. The rest will go to help keep this website updated and running. A PayPal donation button is located at the top right of almost every page. As of September 30th, through your help by choosing to do business with one of our Affiliates, the Guide's gross income for September 2013, was $4.93. Note: I wanted to make you aware that I will probably be changing the minimum amount next month to $50.00 a month, if the guide does not generate greater funds. I will explain more about this in next months ledger entry. Furthermore, I have been working on a few extra ways for the guide to generate funds and I will include those ideas in the "Updates" below. I wanted to also Thank all of you who have followed me on Twitter @BullionGuide. It has been 1year since I started tweeting and now with over 850 Tweets and 300 Followers, I can't thank you enough for the support. The first and most noticeable change to the guide was on the homepage, I changed the charts on the right side column from the constantly changing charts to the static charts. However, if you like the other charts they can be found throughout the guide many of its pages. After I changed the charts on the homepage, I created 5 new Price Chart pages, Gold price, Silver Price, Platinum & Palladium price chart pages. I also created a Chart "Aide" Page for those pages, for any of you who want to change any of the price charts or Interpret them better. My original intent was to have this page be the only page for all the price charts. However, that plan quickly fell through after I first tried to load the page with all those interactive charts, needless to say it took forever to load. I do plan to add more charts to those pages, or find upgrades to the ones that are already there. I did also rewrite the "Missions" page to better clarify why this guide was created and what I want to do with it. The Gold and Silver US Bullion Coin pages have all had their mintage figures updated. 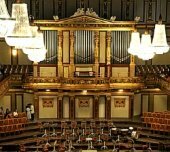 I'm looking forward to updating the Perth Mint's mintage figures for their bullion coins once they release them, as well as the Austrian philharmonic coins. As to what I plan to do to help the guide generate more money for the Kanzius Foundation and for the sake of the Guide, I have come up with a couple ideas that I have already started. On each bullion coin page, I will start to list the Guide's Sponsors and Affiliated bullion dealers that offer those coins and provide direct links (when applicable) to the coin page on their site. I intend to do this for all the guide's individual bullion coin pages, starting with all the silver bullion coins and then gold, platinum and palladium. The links will be located at the bottom of each coin page under the mintage figures, you can see what this will look like here on the 1oz Silver Austrian Philharmonic bullion coin. I found it to be useful to find the best price among these affiliates for the coin. I will also be doing this on the refiners pages. I'm currently working on a few other ideas and as they come along I will make note of them here on this page. 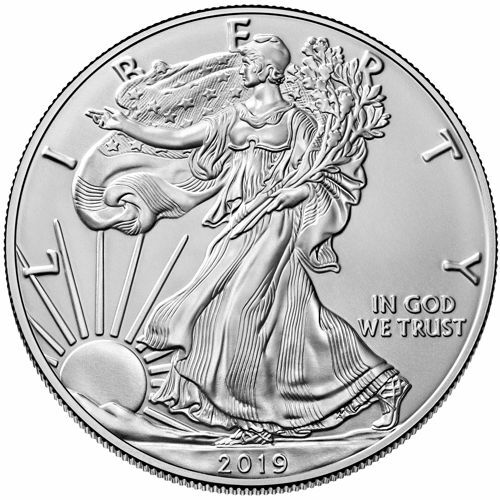 This includes a weekly or monthly raffle idea I've been thinking about where you could pay as little as $1, $5, or $10 for a silver bullion coin, if you won the raffle. I'm still thinking about how I'm going to set this up, but again you will hear it here first. I hope you had a Happy Halloween and I would like to Thank you for every visit you make to the guide. As of October 31st, through your help by choosing to do business with one of our Affiliates, the Guide's gross income for October 2013, was $40.00. Note: Previously, when the guide did not generate more than $100.00 in commissions, I had personally promised to donate at least that amount, however I can not continue to donate this amount. I want give you a quick background of myself and let you know why I will be dropping that minimum payment to the Kanzius Foundation to $50.00 a month. I've been in love with all types of investments since I was a kid. I did go to college for two years, my major was in Physical Therapy, but I dropped out to jump into a business opportunity that I felt at the time, I could not pass up. I owned and operated that delivery business for 8 years, from the age of 22 to 29. Since I've started this site, I've been asked if I worked for a big investment bank, if I'm a former broker, a bullion dealer.. None of the above, I'm just a regular guy who wants to do what he loves. My current situation is nothing to brag about, I've been out of a job, I've been earning money by selling my possessions. The Free Bullion Investment Guide is my attempt to do something I love (investing) and give back at the same time (helping those who battle cancer through research). I know the name isn't that catchy and but bullionguide.com was already taken, so was bullioninvestmentguide.com. So I added the hyphens and 'Free' to the name to because 'it is' and it will not ask anything of you except your time to read the information within its pages. I've stated in previous Ledger entries that I believe in the Kanzius Machine and the Foundation's goals and I believe the missions of this website will prevail. Sometime in the future I will do an "About" page in it I will give a broader description of myself, my investing philosophy and the man who got me interested in investing. Over the month of September there has been a lot of Updates made to the Guide. 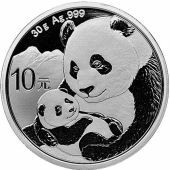 First, the China Gold Coin Corp. recently released photos and the maximum mintage figures for their 2014 Chinese Gold and Silver Panda Bullion Coins. The photos and figures have all been updated on the guide. In addition, the mintage figures have also been updated on the Austrian silver and gold bullion coins. For the US bullion coins, both sales and mintage figures are now stated and are updated on a weekly basis. As stated on the last update, I have been adding the guide's Affiliate links to individual coin and refiner pages. On some of these page I have included Amazon.com's links. Many in bullion circles don't necessarily take those who offer bullion coins on Amazon seriously. Although I will admit there are some listings on Amazon that a bullion investor would laugh at, their are also others that would surprise them. 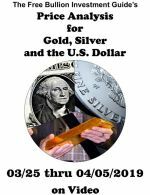 I have personally sold items on Amazon.com for about 10 years, although I do not sell bullion on their pages, there are many reputable dealers and individual sellers on the pages I have linked to. If I ever do decide to offer bullion, in the future, on these pages, I will make sure that the prices I list will be competitive to other reputable bullion dealers. My current username on Amazon.com is medium_mall. As to the coin pages I have added affiliate links to, I have finished adding them to the silver coins and I am currently adding them to gold coins. If there are no links on a page, it means the guide does not have any affiliates who offer the coin. In that case if you are looking to purchase the coin I would refer you to look at the bullion dealer pages and the links to the bullion dealers on those pages. The News / Blog Roll page has recently been updated. In it I have added almost all of the links I have in my News Favorites folder. At one point in time, the Guide has posted a article from one of these links on it's Homepage. Furthermore, there will be more links added on this page on a constant basis. I have a few things planned in the near future, but I'm noticing I'm getting a little long winded in this Update notice. I hope you had a Happy Thanksgiving and Thank you for visiting the guide. When I first started writing these ledger entries I would often tell you about the guide's traffic stats, and since it's been a little while since I have done that, so I would like to catch you up on it's progress. The guide's Google PR rating is 2. The guide gets 40,000 page views a month from 20,000 visitors. The homepage receives almost half of it's totals visitors. The rest of it's monthly visitors, visit one or more of it's 172 current pages. Visit the sitemap to view all of it's pages on one page. So far for 2013, the month that the Guide received the most visitors was April and the least was June. After the New Year, I intend to redo the homepage (under the daily news), start a blog, get a facebook page started and do a few other things that should bring more attention to the site. I know that I need to stay consistent and positive to get the number of visitors I want to achieve for this website. For all those who currently visit this site and read this ledger page which gets between 250 to 300 page views a month, I cannot Thank You enough for your support. As of November 30th, through your help by choosing to do business with one of our Affiliates, the Guide's gross income for November 2013, was $47.93. I had previously promised the Kanzius Cancer Research Foundation that they would receive at least a $100.00 donation. But due to personal financial reasons. I mentioned in last months ledger entry, I now personally donate $50.00 a month if the guide does not generate enough monthly funds. During October I added two new coin pages the 1oz. Silver Wood Bison bullion coin page and the 1oz. 25th Anniversary Silver Maple Leaf bullion coin page. 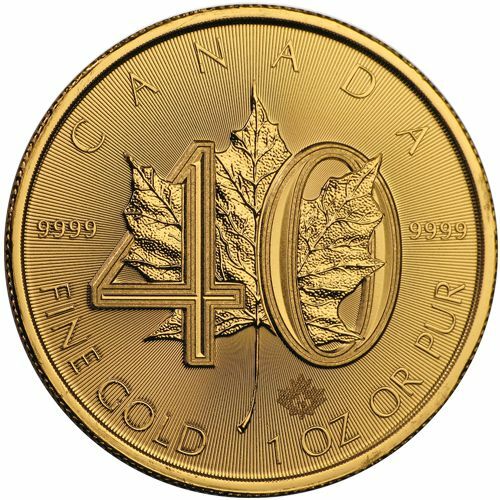 Both bullion coins are produced by the Royal Canadian Mint and have a limited mintage of 1 Million. The guide signed a new affiliate Gemorie.com, our first jeweler. Early last month, they sent a request to become one of our affiliates, after looking over their site and selection I was more than happy to add them. They have a very nice variety of jewellery. Yesterday (Nov.6th), I received a notice the GovMint.com is no longer affiliated with one of the Guide's Affiliate Managers, so I wanted to make you aware that their links on the guide will no longer take you to their site. I am currently working on removing their links from each of the guide's pages. If they decide to offer a affiliate program in the future, I hope to resign them, they sell some bullion coins that other dealers don't offer. I recently updated the Thomas Sowell - Economics Guru page, I will be updating all of the Investing Guru pages over the next few weeks. Then I intend to get back to work updating the rest of the Refiner pages. However, recently a visitor brought to my attention a mistake on one of my charts on the Price Inflation page. I have since taken that chart off the page, it was the bread chart, and now I am currently revising that chart and plan to redo other charts on that page and add a few new ones. I intend to have the Price Inflation page updated before the end of next week. Since it won't be until after the New Year until I write to you again, I would like to wish you and your family a Merry Christmas & a Happy New Year. I hope you and your family had a Merry Christmas & a Happy New Year and Thank you for visiting the guide. I first have to apologize, I state at the top of this page that I write this ledger page on the 7th of every month, and I am actually writing it on the 8th. However, I made the guide's donation to the Kanzius Cancer Research Foundation, yesterday. Writing this late allows me to let you know I may be pushing back the date I write this ledger page each month to the 10th of every month. Currently, I'm sticking to the 7th, the ledger was originally posted on the 5th, but having it so soon after the end of the month caused some complications. I will let you know when I move the date, but as of now expect my next ledger entry on the 7th of February. As of December 31st, through your help by choosing to do business with one of our Affiliates, the Guide's gross income for December 2013, was $48.74. I've personally promised the Kanzius Cancer Research Foundation that they would receive at least a $50.00 donation. During the month of December I made several updates to the Guide. The 2014 America the Beautiful 5oz. silver bullion coin designs have been added to the 5oz. ATB silver bullion coin page. On the last update, I mentioned that I would be re-doing all of the charts on the price inflation page. I did redo all of the charts and I added 4 more. I added charts showing the rising costs of Public & Private Colleges and Private and Medicare Health Insurance, over the past 45 years. During the middle of last month I noticed that the candlestick charts at the top of the Gold, Silver, Platinum & Palladium chart pages were not loading correctly. In fact, they were not showing up at all on the pages. I have been personally using TradingView.com's charts for my own personal use. So I looked there first because I like using their charts so much and was surprised to find out that they have embeddable charts for websites. So now on the Gold, Silver, Platinum and Palladium chart pages you will find TradingView.com's charts at the top of each page. These charts are completely interactive and they offer you to choose your own indicators or do your own Technical Analysis. I personally find them easy and fun to use. I also recently updated the Peter Lynch - Investment Guru page, I'm still in the process of tweaking it a little. There is some more information I want to add to the page. During the month of January, I intend to get done all of the guru pages. I also wanted to let you know the Guide added a new affiliate AmagiMetals. I found out about them because they accept Bitcoins for payment of bullion. I have a friend who has started trading Bitcoins and that is how I heard about them. My personal feelings about Bitcoins is simple, I see it as a unit of exchange. It's not a hard asset like precious metals, it has some flaws, but Bitcoins also has some benefits. When it comes to investing, I'm not a hardliner, as in "precious metals and precious metals only," I personally think "to each his or her own." I do believe that everyone should have at least 10% of their portfolio/savings in physical precious metals, however beyond that, it's up to the individual as to how they invest their money. Hello, I first wanted to Thank you for visiting the guide. This ledger entry will be brief, I will fill you in further in the updates below. The guide donates half of its gross income to the Kanzuis Cancer Research Foundation. As of January 31st, through your help by choosing to do business with one of our Affiliates, the Guide's gross income for January 2014, was $49.83. During the month of January I was unable to get done the work I had originally intended to do. Shortly after my last ledger entry, on January 13th, my mother fell and broke her hip. Since she has been home from the hospital, I have taken up the role of her full time caretaker. This is the reason why the News on the homepage has been posted at erratic times or, on a few days, not at all. I do apologize for the this it is one feature of the guide that I try to post daily. But, like most anyone else who is reading this, I believe that "Family comes First." Before my mother's accident I was able to update the Doug Casey - Investment Guru page and I have continues to keep the US Bullion sales updated. Furthermore, over the past several months I have received many requests to add more pages to the guide. I wanted to Thank everyone who has offered their requests and I intend to fill those requests once I have more time. Currently, during my free time I am working on how I am going to redo the homepage, almost everything above the Daily News updates will stay the same, only what is below it will change. Lastly, I wanted to Thank Everyone who has offered their Get Well Wishes for my mother. I want to start this Ledger entry, like all the others, by first Thanking You for every visit you make to this Guide. As of the 11th of March, the Guide will officially be three years old. The first year consumed mostly of putting all the information on the guide, the first ledger entry was on 4/05/2012. Before, I started putting this site online I knew I wanted to accomplish two things; Provide factual information for bullion investors and give back to a good cause - Cancer Research. It was during that first year of creating this guide that I first heard about the Kanzius Cancer Research Foundation. Shortly after learning more about the foundation's work, I contacted Mark Neidig Sr. the executive director of the Kanzius Cancer Research Foundation of my intentions to become a sponsor for them. I remember him mentioning that he never thought of tying bullion investment with the work that they do together but he also thought it was a great idea. 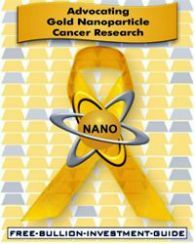 The work that they do with Precious Metals Nano-particles to provide a better treatment for Cancer patients, is remarkable. With your continued help we can provide them with the funds they need to provide a better non-invasive treatment for Cancer patients. As of February 28th, through your help by choosing to do business with one of our Affiliates, the Guide's gross income for February 2014, was $20.00. We have two pending sales from the Perth Mint, which means they have not been confirmed to the guide by the Mint. Once I receive confirmation (which may take 60days - from the point of sale), I will become aware of the commissions we will receive for these sales. I will keep you updated on these sales in Future Ledger entries. On last month's Updates I informed you that my mother had broken her hip and that I had become her full-time caretaker, and that my time working on the guide was greatly reduced. Well, she has made a great recovery and is able to walk without a walker or a cane and yesterday she drove (by herself) for the first time since her accident. Even though I am still helping her out, here and there, with little things she still has some trouble doing, my time towards getting work done on the guide has improved. As for last month's Updates, I honestly didn't get done anything. I did keep the news on the homepage updated daily and the mintages on US Bullion Coin pages were updated on the 1st, 10th & 20th of the month. This month I intend to get a lot done, to much to mention right now. I think it will be better to let you know what I updated on next month ledger entry.